Foy J. Hood, husband of Pattie Hood and father of Gregory A. Hood, MD [Katrina Hood, MD] died on March 24, 2019. These past many months he faced his illness with the same grit and determination that he lived life. He also is survived by his cherished grandchildren, Taylor Hood, Clarissa Hood, and Connor Hood. He loved his family beyond measure. He was very proud of his 20 year service in the U.S. Coast Guard. He especially loved the years living at the Cape San Blas Lighthouse, FL and his tour of duty in Alaska. The Coast Guard provided him with many treasured experiences and memories, including as Head of the Atlantic Area Coast Guard Training Team based on Governor’s Island, NY and traveling the coastline from Maine to Texas. Foy loved the water, boating and fly fishing and his cocker spaniel, Winchester. After leaving the Coast Guard, he worked with KY OSHA. He was a member of Society of Safety Engineers. After leaving KY OSHA, he formed a Private Safety Consulting Business directing the training of workers in safety practices in construction and manufacturing throughout Kentucky and other states. Born in Alabama, Foy and Pattie lived in New Mexico, Florida, and Alabama before moving to Pattie’s hometown of Lexington, KY. Always an Alabama football fan, he grew to love UK basketball. He is also survived by a sister, Peggy Burnett, GA; Hugh [Joyce] New Mexico, and Roy Hood, AL and several nieces and nephews. 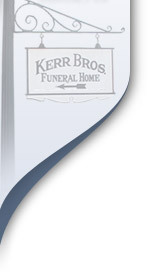 Visitation April 26th, 6-8 pm, Kerr Brothers, Harrodsburg Rd. Funeral April 27th at 10:00 am, Lexington Primitive Baptist Church, 4574 Harrodsburg Rd., Lexington, with burial to follow at The Lexington Cemetery. Donations to Mercy Rescue & Adoption, P. O. Box 485, North Vernon, IN 47282 or Coast Guard Mutual Assistance1005 N Glebe Road Suite 220 Arlington, VA 22201.